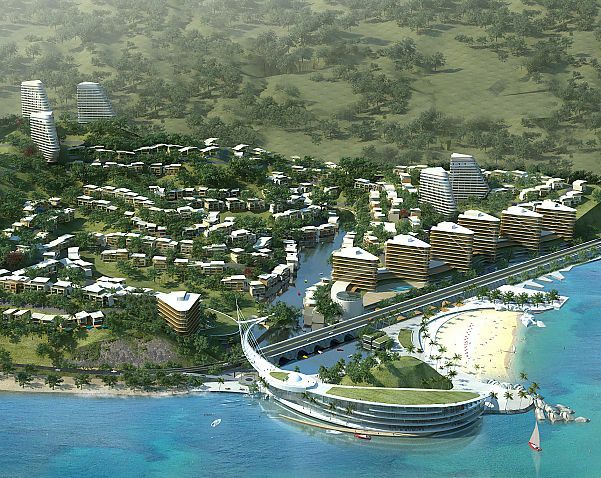 "Flowing from Mountain to Sea"
Xunliao Resort is located in Guangdong province on 16 kilometers of coastline. 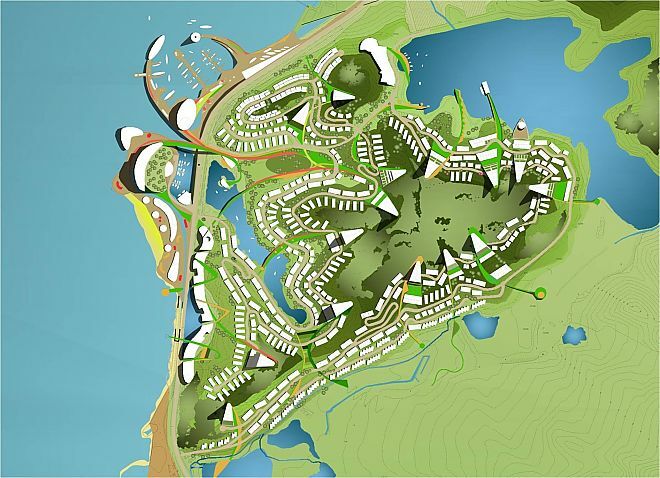 Flowing like a glacier, the buildings and landscape are sculptured by a natural sense of flow and erosion. 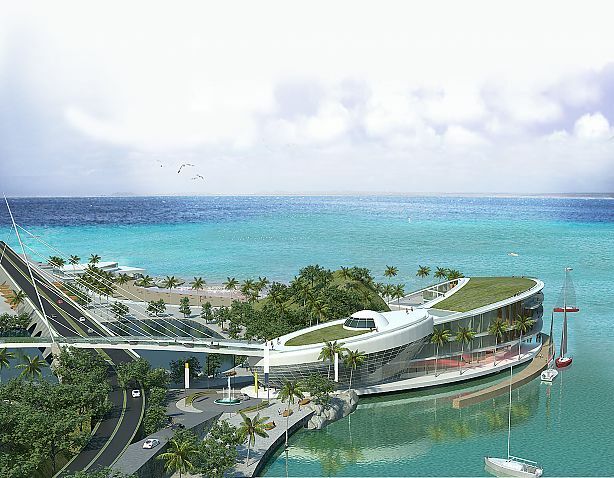 Using the ocean as a metaphor the development includes the "Triton Hotel", a man made hill with a pedestrianized green roof. 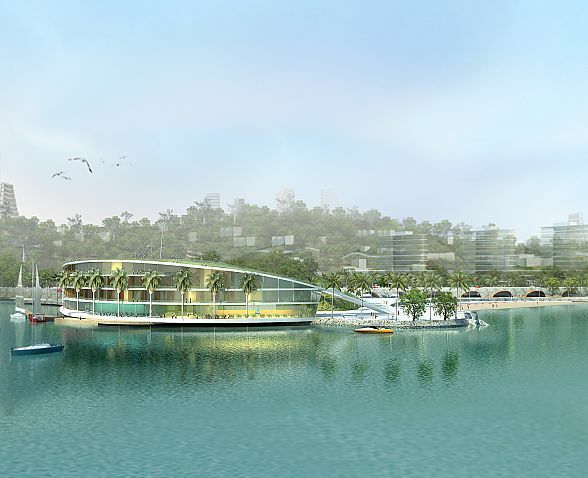 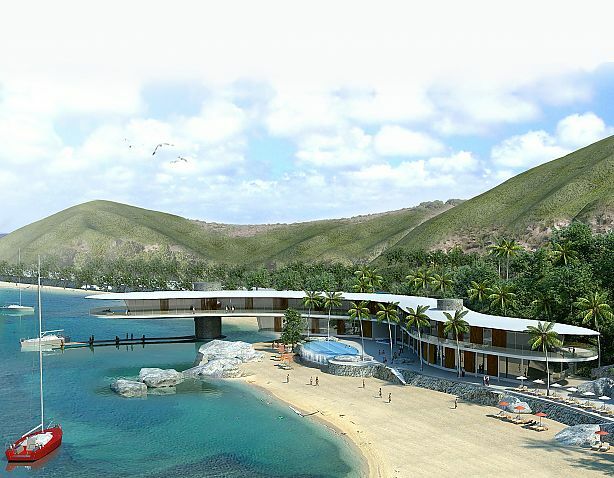 The Secret Cove- Private Club, an Eco Island - a Holistic Getaway, "The Wave" seafront apartments and the unique "Arches" retail links connecting the hillside to the beach.